Did you see the article by Garth Risk Hallberg in last the NY Times on Sunday, Jan 13 titled Why Write Novels at All? I had taken a break from the Sunday Times that weekend (heresy, I know) and a friend in Israel emailed me a link to the article. We emailed back and forth during the week, talking about Hallberg’s comments on The Marriage Plot and the difficulties we both had reading it. Sigh. I wanted to love the novel for many reasons, not least of all because I thought Middlesex was a tour de force and also because like many of us, I too knew some brilliant, unstable people in college and was hoping that Eugenides would capture some of the intense emotionality of that experience. It didn’t happen for me. Hallberg, in the Times article, writes that in The Marriage Plot (and other recent fiction by specific authors he mentions) “we encounter characters too neatly or thinly drawn, too recognizably literary, to confront us with the fact that there are other people besides ourselves in the world, whole mysterious inner universes.” I have to agree. 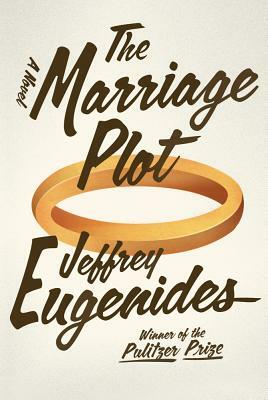 There’s lots of great stuff in The Marriage Plot; there are still some sentences, that stick in my mind, but I felt that overall it was self-indulgent. I’m waiting for Eugenides’s next novel. Could be a long wait, given the history. Totally agree with your assessment – some brilliant sentences, but characters I had no attachment to. Our book club just met to discuss The Marriage Plot. We agree with you. Several of our members gave up mid book. Although I was interested enough to want to find out what happened to the characters, I found myself doing quite a bit of skimming. Having read Middlesex, we all expected more. We are rating the book this week and would love your vote!.